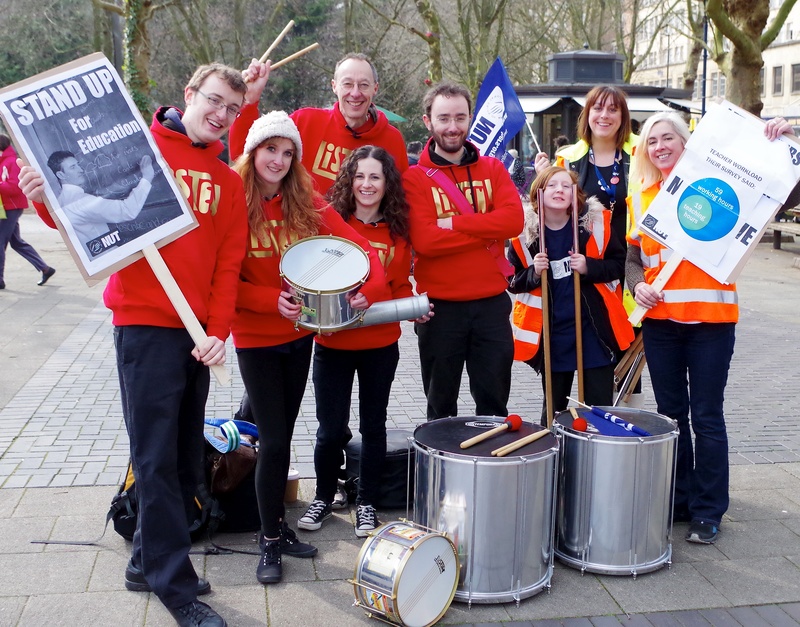 Last week several of the Bris Arts tutors played some Samba to accompany the teachers strike march through Bristol. Hundreds of teachers from the South West joined picket lines for the NUT teachers strike last Wednesday. A march took place through Bristol town centre to raise awareness of the strike, with our group of drummers leading the way. The Samba drumming lifted everyone’s spirits throughout the march, attracting people’s attention to get the teacher’s message heard! At Bris Arts we believe children’s education should be a national priority, and we offer our support to teachers throughout the UK.